What a year it has been full of its ups and downs, highs and lows and everything in between. To celebrate the year I have had, I thought I would share with you some of my most happiest and proudest achievements of 2018. These achievements have made me have one of the biggest smiles on my face and they have helped me to get through those not so good days. 1. This year I have started volunteering as a Retail Volunteer at a charity shop. I have made quite a few of my own window displays. I have now started to serve customers at the till by myself. 2. This year I have started to volunteer at a farm as an Animal Care Volunteer. I enjoy looking after all the animals as well as learning more about how to care for them all. 3. This year I have joined The Theatre Shed as a Youth Theatre Student. This year for Christmas we did a Production of The Snow Queen I played one of the three Gerda’s. 4. At the beginning of this year I did work experience at a theatre as an Evening Theatre Usher for the Stage Production of The Jungle Book. 5. This year was the year I started this blog! 6. I have just started to learn British Sign Language; I can’t wait to keep learning more next year. 7. On the 1st July 2018 I took part in the Stagecoach World Record Attempt. We did this to celebrate Stagecoach’s 30 Years Anniversary. The World Record we are attempting to break is for the largest simultaneous performance of one show. The production we did was Beauty and The Beast. We are still waiting to find out if we have set a new world record. 8. This year at the Riding for the Disabled Group I go to I helped to train a new member of the family a pony called Billy. I absolutely loved doing this because now other RDA riders can have the joy of riding him! 9. I helped my local Recovery College as a Social Media Volunteer for a few months. I found and posted inspirational quotes and some photos of student’s fabulous work. 10. I gave supported living the best go I could even though it did not work out. 150g Dark Chocolate, roughly chopped. 1/4 tsp Ground Mixed Spices. A Couple Of Rows Of White Chocolate From The Chocolate Bar. 1. Preheat the oven to 180*C, Fan160*C, Gas 4 and line the base of a round 24cm-diameter springform tin. 2. Melt the chocolate and butter in a bowl over a saucepan of gentle simmering water, making sure the bowl does not touch the water. You could gently melt the chocolate and butter in the microwave at a low setting; stir until smooth. Remove from the heat and let it cool for 20 minutes. 3. In a large bowl whisk the eggs , caster sugar and vanilla extract. Then add in the clementine zest , orange juice , red wine and ground mixed spice whisk till just combined. In a separate bowl sift the flour and baking powder. Pour the cooled chocolate mixture into the beaten eggs and mix until combined and smooth. Then fold in the flour mixture until combined making sure no flour is visible. 4. Pour the mixture into the lined tin. Transfer to the oven and bake for 25-30 minutes until set on top but still a little bit gooey inside. Leave to cool in the tin. 5. Whilst the cake is cooling, melt the white chocolate on a low heat in the microwave for about a minute and a half. Once melted stir the chocolate to help get rid of any lumps. Once the cake is completely cooled, take the cake out of the tin and drizzled the white chocolate all over the top of the cake. 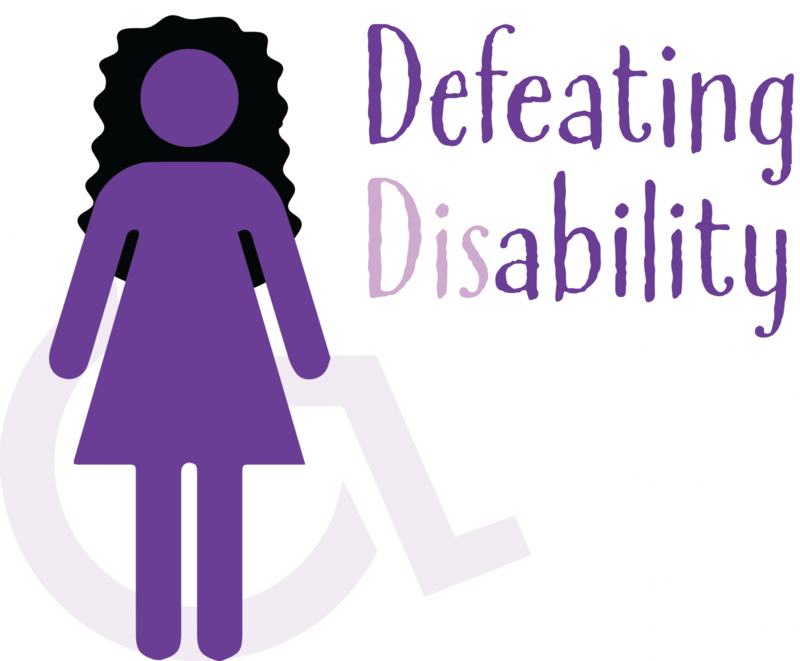 On the 3rd December 2018 it is International Day of People with Disabilities. So I thought I would do a blog post on a few of the discrimination and ignorance’s I have faced or even face on a daily basis. I have Cerebral Palsy Right Hemiplegia I was diagnosed with this condition when I was in year 2 of Primary School. I have had many years of comments said to me as well as opinions about my disability. I am 20 now and I can honestly say the comments haven’t really stopped and it is from people of all ages. Don’t get me wrong I really don’t mind people asking me questions about my disability, But I’d rather people asked me when stare at me for a while and try and work out what’s “wrong with me”. Often when I go out to the shops people see the driver park in a disabled car parking space. I put my blue badge out get out of the car, and that’s when I get the looks and then the comments. ” That’s a disabled spot let a disabled person have that space ” or maybe another disabled person wants to park in the disabled parking spot I am in and that’s when I get told to move. I have had on quite a few occasions people walk to the car and check I have a blue badge. I remember I used to have a helper at college and we went out into the community I said I had a blue badge and they said “how come you have one but some of the students with walking aids don’t “. When I am out in public and I need to go to the bathroom sometimes I will use the disabled toilet. This could be because I need more space and sometimes my walking can go a bit funny as my legs can shake, so I find this toilet easier and safer to get too as it can be closer too. However when I sometimes come out of the bathroom people look at me and I just know what they are thinking. Once this lady in a wheelchair got so angry I did try and tell her about my condition and that I was disabled but she just said ” excuses excuses young people today are lazy and have no respect “. Yes I can walk but I did at secondary school and college use a wheelchair as I was having lots of non- epileptic seizures. It was decided that it would be safer and better for me to use my wheelchair as my seizures made me very tired and my balance anyway is not very good due to my disability. I do use my wheelchair if I go on trips out for example around a museum which I know I will have long walking distances. This is because my legs get extremely tired and I could just fall to the floor. I get this said to me quite a bit especially when other disabled parents ask me do you go to this group or that group. I might say I hope to see my friends soon or I might see some at Stagecoach at the weekend. They then want to know what social group I met them at. They then want to know what conditions they have and when I say they are able bodied the parents looked quite surprised! I do have friends who also have disabilities but I also have friends who are able bodied. Being Disabled I have found it harder to get onto college courses. Before I talk about my disability things seem to be going ok but once it’s mentioned it suddenly goes the other way. For example a tutor knew I was disabled and was willing to have me on their course. I am normally allowed to have extra time, a reader etc in tests or exams. In this course I would have to do exams practical and written in each of the units I would be taught. However the exam board would not allow me to have extra time ect so I could not do the course. I have found it very hard to get onto lots of courses due to the way others see my disability. I want others to know that not all disabilities are visible ! Our disabilities do not define us and we are more than the labels society gives us ! In fact that having a disability is probably not the most interesting thing about me! This amazing artwork is done by the very talented Solanna. Checkout other fabulous artwork on Instagram @spoonfulsofkinddness.